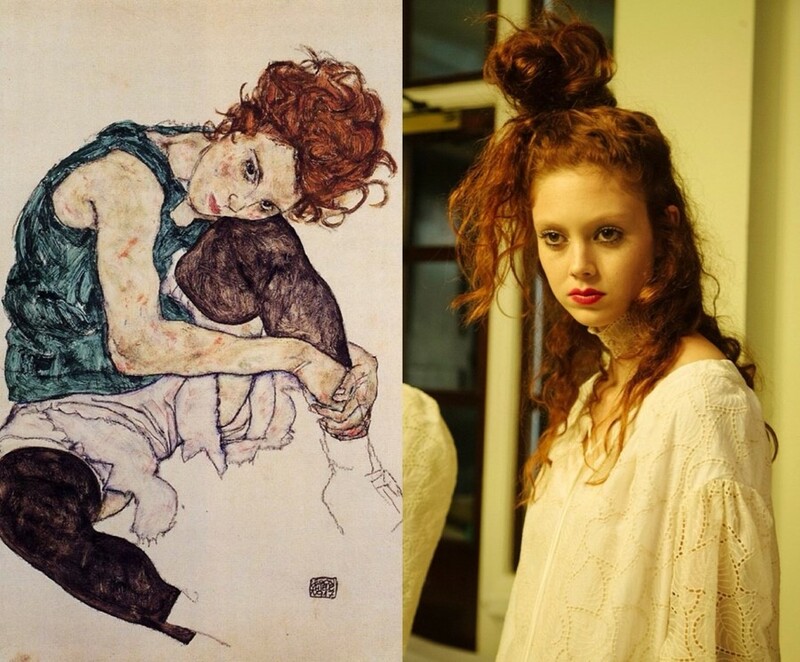 Who knew LFW had so many art history parallels? After five days of shows, London has passed the fashion week baton onto Milan. And while you might be aware of the skateboarders at Ashish, the Elizabethan-inspired couture at Giles and the political demonstration at Vivienne Westwood, you may not be aware of the art history crossovers that littered the designers’ SS16 collections. Did you notice the similarity between Molly Goddard’s puffy party dresses and Edgar Degas’ ballerinas? Or the likeness between Mary Benson models’ pearly tears and Frida Kahlo’s 1944 self-portrait titled “The Broken Column”? Well, the girls behind social media phenomenon @artlexachung did and they’ve given us pictures to provide the proof. London Fashion Week’s art history parallels have officially been outed. Check out the full series of crossovers in the gallery above, and follow @artlexachung on Instagram here and on Tumblr here.